For most of us, our concept of history begins with our own generation. Consequently, we believe that the problems we face were invented by us and it is up to us to find new solutions for them. That is not the case, however. Many generations have faced the problems we are dealing with today. The reason we are having such a difficult time in solving them is twofold. First is the idea that it is up to our political leadership, and particularly those in our national government to come up with the solutions. Second is our tendency to view every problem as a separate issue, each with its own unique solution. Although, on the surface, the problems we face today all seem to be separate issues, they are not. Out of control spending, the looming specter of confiscatory taxes, a burgeoning national debt, health care, energy, the global warming farce, declining quality of education and all the other issues we worry about daily are merely symptoms of our one fundamental problem, a lawless, out of control government. That, in itself, is not new by any means. It dates back to the beginning of our republic and to some of our Founding Fathers. President Obama brought nothing new to the table. His administration is merely the culmination of the hundred year assault on our Constitution that began in the late eighteen hundreds during the Progressive (American socialist) era. Even that was not the first attempt by our elected leaders to circumvent the Constitution. 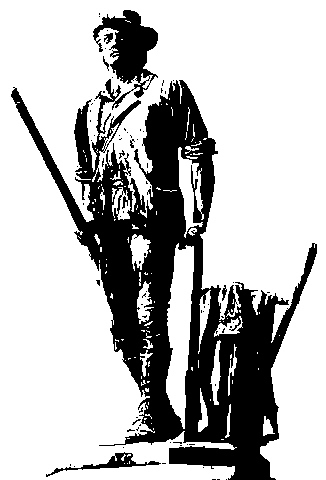 Many of the Delegates who participated in the Philadelphia Convention were in favor of an all-powerful federal government with the state governments subordinate to its will. That is why it proved so difficult to get a Bill of Rights added to the Constitution after it was ratified by the states. The lust for power was as strong in the breasts of our Founders as in any of the politicians we send to Washington today. John Adams, for example, one of the leading patriots during the Revolution, and who later became our first Vice-President and then our second President, was a great admirer of the British system of government, as was his close friend Alexander Hamilton. Jefferson relates an incident concerning Hamilton and Adams and their admiration of the British Constitution in a letter to Benjamin Rush, January 16, 1811. As we pointed out in a previous post, the British constitution is the model for the progressives concept of a “living Constitution”. Jefferson also made the following observation concerning Adams’ Presidency in a 1793 letter to James Madison. Today, Adams is esteemed as one of our greatest Presidents, and in many ways, he was. However, he seemed to possess two of the character flaws that are common among those who aspire to government. First was the belief that only a member of an aristocracy is suited to the role of government, and second was his inability to deal well with opposition. These characteristics coupled with his disregard for the American Constitution caused him to overstep his authority as President and eventually destroyed his Presidency and the Federalist Party he and Hamilton founded. Jefferson also referred to this aspect of the Presidency of Adams in his “Thoughts On Lotteries” included in a petition to the Virginia Legislature around 1825. The Federalist Party’s and Adams’ disregard for the constraints of the Constitution, more than anything else resulted in his defeat at the polls in 1800 and the eventual demise of the Party some twenty years later. The electorate could very well deliver the same verdict on the Obama Presidency and the Democratic Party in 2010 and 2012. That, in fact, represents the best and possibly only hope for the survival of our Republic. Should the present follow the same course as history, displaced Democrats will flock to the Republican Party over the next few decades, transforming it into a progressive party. That would be the proper time for the emergence of a “Constitution based” Conservative Party to preserve the Republic. The current attempts by the media and the progressives to encourage the formation of a third party based on the tea party resistance, is premature and self-defeating. Its only result would be the continuance of the country in the grip of progressivism, leading to the final destruction of the Constitution. Was the election of Barack Obama as President of the United States a bridge too far for the socialist movement? Since the beginning of our Republic, the political struggle has been between a liberal big government and a conservative limited government. The early contests were between the federalists led by Alexander Hamilton and John Adams and the republicans led by Thomas Jefferson and James Madison. The principle of government Jefferson referred to was the principle of a federation of independent and sovereign states united under a federal government of limited size with enumerated powers versus a consolidated government with all power residing in a national capitol. 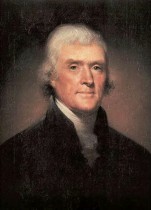 A quarter-century later, Jefferson, looking back on his years of public service, writing in a petition to the Virginia Legislature, described this episode in his career as “the most important in its consequences, of any transaction in any portion of my life;” While the federalists ceased to exist as an organized party by 1824, their influence has continued down through history. The Supreme Court more or less kept them in check until the influence of European socialism began to gain a foothold in America during the twentieth century. Their ultimate goal and their political tactics have remained steady for over two hundred years. Their aim is to consolidate state government powers under the control of Washington. Since Roosevelt, their techniques for gaining power have changed little. The method used is to exaggerate problems into crises and use them to expand the power of the federal government. The Recession of 1930-31 that Roosevelt turned into the Great Depression and then used it to expand government power more than at any other time in history provided the template for all future expansions. Economic cycles, crime, drugs, communism, wars, and other chronic problems of society have been used to diminish liberty and increase government power. The two most recent examples are the changing weather patterns and the economy. The slogan for democratic campaigns is consistently “the worst economy since the Great Depression”. This theme is carried on year after year regardless of the economic facts. Unrelenting pressure is kept on the institutions of our society combined with the unremitting propaganda from the left to gain one incremental step at a time. Incrementalism has been the hallmark of the socialist movement for the past century. As the American people become more accustomed to the small changes that occur over time, they pay less attention to their disappearing liberties. The election of 2008 was perhaps the most monumental since the revolution of 1800. The socialist movement abandoned its past practice of incremental advances and decided to go for “the whole enchilada” with the candidacy of Barack Obama. I fear those who cling to the hope that Obama will govern from the center are in for a major disappointment. 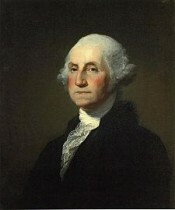 He was elected to bring about radical socialistic changes in the American system and everything in his rhetoric prior to the election and everything in his life experiences indicate that he is likely to do so, his proposed appointments and modified positions since the election, not withstanding. The best hope for America is that he will overreach to a degree that even a conditioned electorate cannot overlook. If Barack Obama carries into practice all the policies he alluded to in his campaign he may very well cross a threshold of despotism the American people will not tolerate. If so he could set in motion the same forces Adams set in motion in 1796 and the Democratic Party could follow the Federalist Party into the dustbin of history. 2010 and 2012 could be a repeat of the revolution of 1800. Politics in the United States today is as divided as it has been since the Federalists Party and the Democratic-Republican Party battled it out between 1787 and 1820. The issues today are the same as they were then, the power and scope of the federal government. However, in the two hundred years between 1808 and 2008 a lot of changes have taken place. Somewhere along the line, the positions of the two major political parties were reversed. In the years following the establishment of our form of government in 1787, the Federalists Party founded by Alexander Hamilton advocated a big centralized government with far reaching powers and a flexible interpretation of the Constitution. The Democratic-Republican Party, founded in 1792 by Thomas Jefferson and James Madison, stood for a smaller government with limited enumerated powers and strong state governments. After the death of Alexander Hamilton in 1804, the Federalist Party lost its influence and was out of existence by the mid 1820‘s. The Democratic-Republican Party eventually dropped the Republican name and went on to become the Democratic Party of today. Following the collapse of the Federalists, a number of political parties sprang up in opposition to the Democratic Party. Most were short lived. In the mid nineteenth century, a new party was formed taking the name Republican to reflect its adherence to the republican principles of the original Democratic-Republicans. Today the Democratic Party holds to most of the principles of the old Federalist Party and the Republican Party supports the primary philosophy of the old Democratic-Republican Party which they now refer to as “federalism”. Is it any wonder the average American is somewhat confused as to which party stands for what? As of 2004, there were 169 million registered voters in the United States. 72 million were Democrats and 55 million were Republicans, with another 42 million declaring “a pox on both your houses” and registering as Independents. The biggest change in the two major parties over the past hundred years occurred in the Democratic Party. At the end of the nineteenth century and the early part of the twentieth, it began to abandon its historic conservatism and move to the left. According to a Pew Research Center study conducted in 2005 roughly a third of the party members were described as conservatives (Blue Dog Democrats). 20% were described in the study as “underprivileged”, the remaining 46% as liberals. It should be noted that almost all the underprivileged group hold the same political views as the liberals, making the Democratic Party two-thirds liberal. The division in the body politic today, however, is not based on party loyalty, but rather on political ideology. The real divide we see on Capital Hill and elsewhere is between the socialists on the left which make up the power base of the Democratic Party and the conservatives on the right which make up the power base of the Republican Party. Not all Democrats are socialists and not all Republicans are conservatives. However, it is obvious that most if not all the decision makers in the Democratic Party adhere to a socialist agenda. To refer to them as socialist, however leaves one open to accusations of “name-calling”, “politics of personal destruction” and “fear mongering“ so, let me clarify what I mean when I label Democrats as socialists and Republicans as conservatives. The term socialists carries a negative connotation in the minds of most Americans, therefore the left leaning members of the Democratic Party prefer to be called liberals or, more recently, progressives. However, there is an international socialist movement with a number of smaller political parties in America that unabashedly refer to themselves as “socialists”. These parties, both here and abroad, publish volumes of literature describing their political ideology. While the parties themselves are varied and have only loose affiliations with one another, the basic principles that make up their ideology are more or less identical. Democrats or Republicans who believe in these principles and actively support an agenda based on them should rightly be labeled socialists. To refer to them as liberals or progressives is deceptive and misleading to the American people. The core principles underlying the socialist agenda in America are: Democratic control over means of production, gender equality and equality of sexual lifestyles, centralized democratic government, global citizenship, equitable redistribution of wealth, universal government paid healthcare, and an equitable distribution of income. Based on these principles the socialist movement in America has established a plan to bring the American government in line with the international socialist agenda. To bring this vision to reality requires major changes in our form of government and culture. Some of these changes involve the destruction of free market capitalism, a new definition of the family unit, the indoctrination of the younger generation and subjugation of individual liberty to the will of the state. Many have been taking place incrementally over the past two or three generations. We have now reached the point where the leadership of the socialist movement believes they can complete the transformation from a capitalistic, constitutional republic to a centrally controlled, socialistic society during the next one or two administrations. All the tactical components of their plan are in place and the public has been conditioned by eight years of intensive propaganda to accept the changes without too much opposition. In fact, large segments of the population are clamoring already for the government to step in and “fix” the problems that have been created by the partial implementation of socialist policies in the past. To this end, American socialists have thrown their full support behind the candidacy of Barack Obama. His campaign has benefited from unprecedented funding and the most favorable treatment by the media of any candidate in history. In spite of the fact that Obama is the least qualified candidate ever to be nominated by a major party for the office of President, there is a real possibility their plan will succeed. Abraham Lincoln said “you can fool all of the people some of the time and some of the people all the time, but you can never fool all the people all the time.” In this case, it is only necessary to deceive enough voters for the next three months to get Obama elected President. Since this subject is too involved to cover in one post, we will cover it in a two or three part series. Tomorrow, in Part II we will discuss in more detail the tactics and strategies for dismantling capitalism, fragmenting the culture, and the destruction of the family unit.